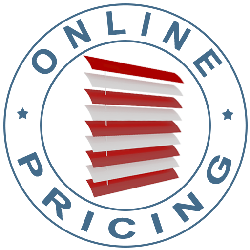 Solid shutters are precisely as the name suggests. That means the designs are exceptional at stopping draughts and they are also excellent at keeping out light. If you experience difficulty sleeping, you’ll appreciate the change having solid shutters are likely to make in your bedroom. There are simply no spaces for light to break through because of the single-piece design and style. 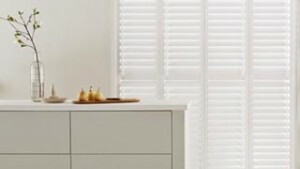 So when morning comes, solid shutters help keep the sunlight at bay and the room totally dark, making it possible for you to sleep right through to when the alarm clock goes off. A solid shutter at your window also offers an additional insulating layer, so it helps to minimise draughts and to maintain warmth within your home. 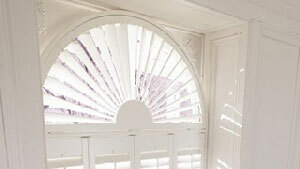 When deciding on a solid shutter, you don’t have to give up elegance. You will get to select from an excellent choice of wood and 49 coloured finishes. This means that you can be absolutely sure your solid shutter matches your décor. Book an in-home appointment and your advisor will be able to show you examples and offer recommendations, before measuring and giving you a no-obligation quote. 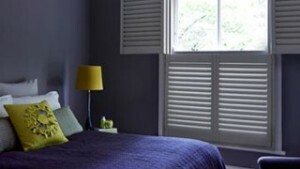 Why Choose Solid Shutters From Us?